Yo! The chart pattern party ain’t over yet since I’ve got a potential channel on EUR/AUD and a triangle on EUR/JPY in today’s intraday chart update. EUR/AUD has been tilting to the upside recently. And it even looks like a potential ascending channel is beginning to form. 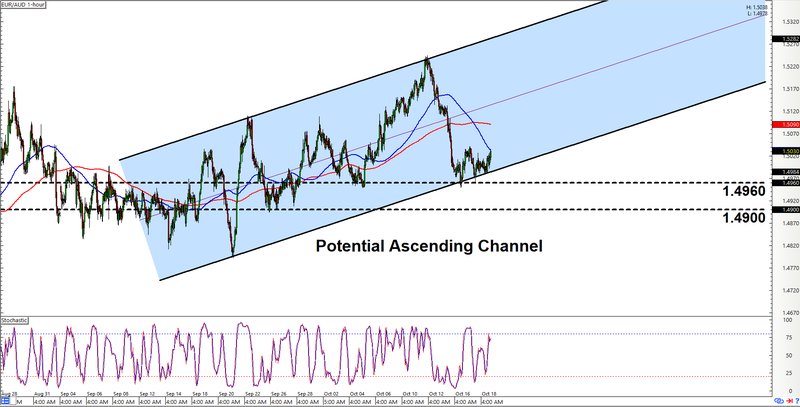 I say “potential” because the pair has to bounce off the would-be channel’s support area at 1.4960 and then test the would-be channel’s resistance area before the potential channel is validated and becomes an actual channel. Know what I’m saying? And since the channel hasn’t been validated yet, conservative traders out there may wanna sit this one out for now. But if you’re a real gangsta trader who’s lookin’ to go long on the pair in the expectations that the channel will be validated, just be extra careful. After all, our technical indicators ain’t exactly favoring an upside move at present. In fact, they seem to be hinting at a potential downside move since them moving averages are already in downtrend mode. Stochastic, meanwhile, is signaling overbought conditions and all that. And since our technical indicators seem to favor a downside move, just be ready to bail yo longs and/or switch to a bearish bias if the pair smashes past the 1.4900 major psychological level. 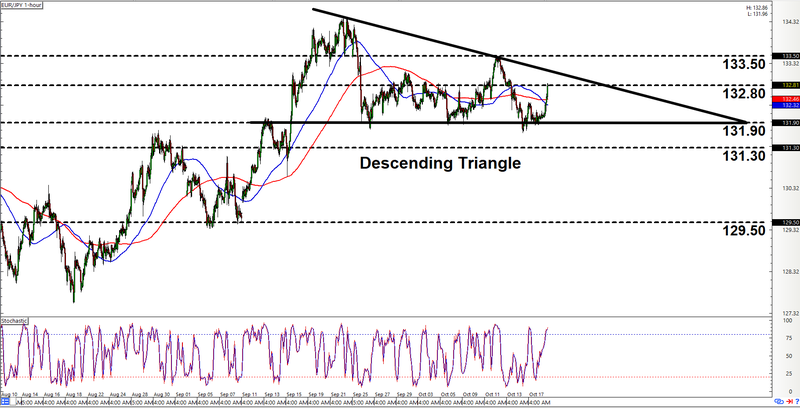 A descending triangle has emerged on EUR/JPY’s 1-hour chart, so there’s a good chance that the pair may be moving to the downside. And if the pair breaks lower past support at 131.90 and then take out 131.30, then bears will likely be gunning for 129.50 next. Like yesterday’s descending triangle setup on GBP/AUD, however, EUR/JPY’s descending triangle formed after an uptrend. As such, there’s also a risk that the pair may break to the upside instead. Y’all may therefore wanna prepare for such a play as well., especially if the pair clears 133.50. In any case, just make sure to practice proper risk management, a’ight?